Mr. Leto has practiced Family Law for approximately thirty five years. He has been a panel moderator and lecturer for the San Diego County Bar Association Certified Family Law Specialists, the Southern California Chapter of the American Academy of Matrimonial Lawyers, the Child Forensic Psychiatry Seminars for the University of California at San Diego for the Child Psychiatry Fellows, Lawyers Mutual Insurance Co. and the Association of Family and Conciliation Court Conferences in connection with complex issues. Mr. Leto is listed in Best Lawyers of America and has a preeminent rating for Martindale Hubbell. He is selected as one of the Best Lawyers in San Diego Magazine. 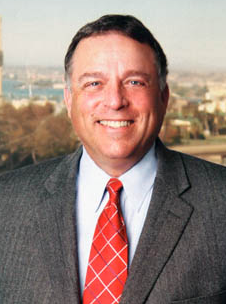 Mr. Leto has served the San Diego Superior Court as a Pro Tem Judge and Settlement Conference Judge since 1985. He is a Fellow of the American Academy of Matrimonial Lawyers, is a former President of the Southern California Chapter and has been its counsel five consecutive years. Mr. Leto has held numerous offices for the Certified Family Law Specialists of the San Diego County Bar Association and is a former Chairman. He is also a Fellow of the International Academy of Matrimonial Lawyers. He has represented highly compensated individuals, professional athletes, attorneys, doctors, dentists, airline pilots, engineers, developers, celebrities, entrepreneurs, corporate executives, psychologists, architects, authors, professors or their spouses, and all types of businesses owned by spouses. His staff consists of a legal assistant, a paralegal, and he will employ contract attorneys and paralegals as needed. He will also employ various experts and consultants when necessary to assist his clients. He will effectively use the latest technology and computer programs to assist him in preparing for and conducting hearings and trials. We suggest that you contact us to arrange a consultation, for which we charge, so we may determine if we can provide representation to assist with your case. If you are in litigation, mediation or other alternate dispute resolution, we can represent, consult, assist or provide you representation. -Divorce -Property Division -Custody-Child Share Issues -Spousal and Child Support -Attorney Fees and Costs -Post Judgment Modification Proceedings -Certified Collaboration Attorney Mr. Leto can serve as a Privately Compensated Judge to make orders or serve as a Mediator to assist you with your case. The staff has been with Mr. Leto for a combined total of approximately 35 years assisting him to provide clients with these services.